San Francisco is an incredible town to photograph. At every turn, there is something to aim your camera at - and that's a good thing. I always enjoy my visits there. 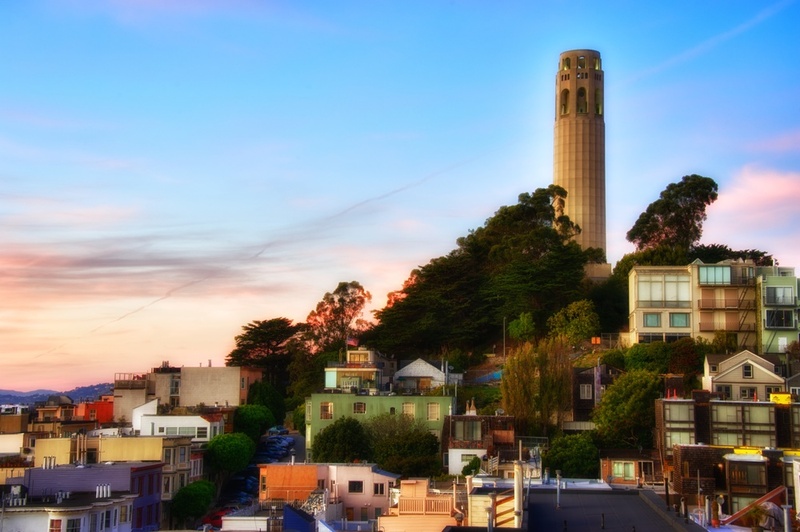 This is Coit Tower, which rises 210 feet from Telegraph Hill and is a well-known and easily recognized symbol of the city. I walked up to this thing and my legs were aching by the time I got there! I spend a lot of my time in San Francisco down near the water, so it's easy to forget how hilly that town is. Anyways, it was sunset and I was at my buddy's apartment, shooting from the rooftop deck. Good times!